Happy First Day of September, can you believe it! My card today was made using the fun fur-filled BB You Make My Tail Wag stamp set from My Favorite Things! Cute one, Tammy. Hope you are having a 'dog' day...lol. Too funny. Love the yellow splattered background! Hee Hee! Love that sentiment Tammy! LOL!!! Too fun and cute - and true! Love it! LOL..LOL..so funny and so true Tammy...fabulous card. 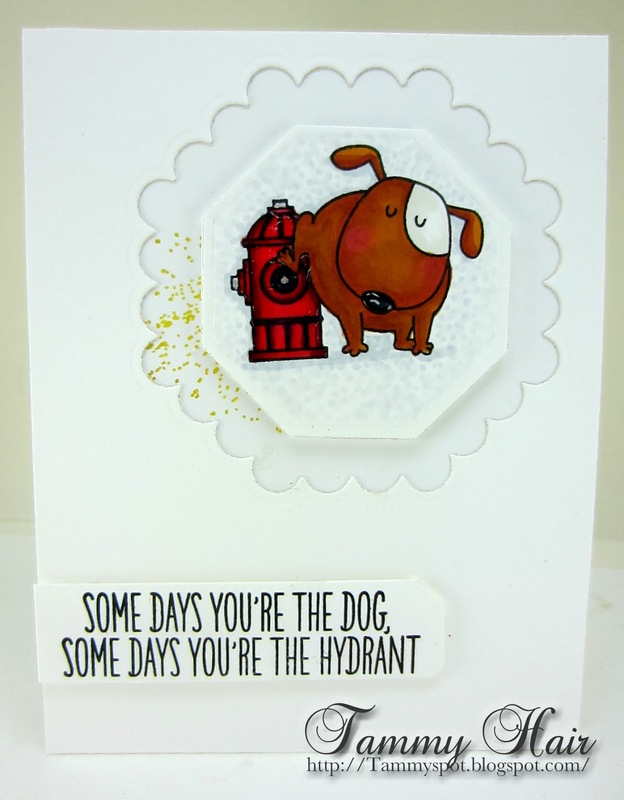 Most recently, the hydrant! How fabulously fun, Tammy! Bwahahaha...perfect! I love the 'splatter' too...LOL.